1) Today I need to take some time to sit and reflect on the events that happened 2 years ago today. I need to pray for the families that lost someone in the tragedy. I need to pray for all of those that were there that day, from the students and staff to the first responders, but especially for the children. I also need to pray for my town, it was a terrible thing that happened and we are still healing. Living here I see reminders every day and am constantly thinking about it, but today I need to make a conscious effort to stop and remember. 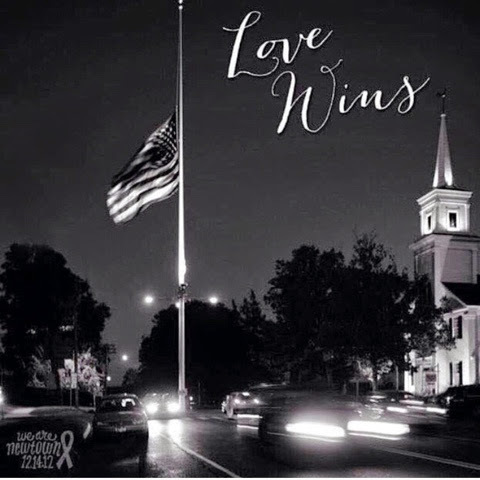 I am also going to try and do something to honor the victims this week, I am not sure what yet, but I will. 2) I hope to come up with some fun activities for my class this week, anything to keep them engaged and learning this time of the year is a plus. I also want to start a new book today, because I just finished Leaving Time, any suggestions? 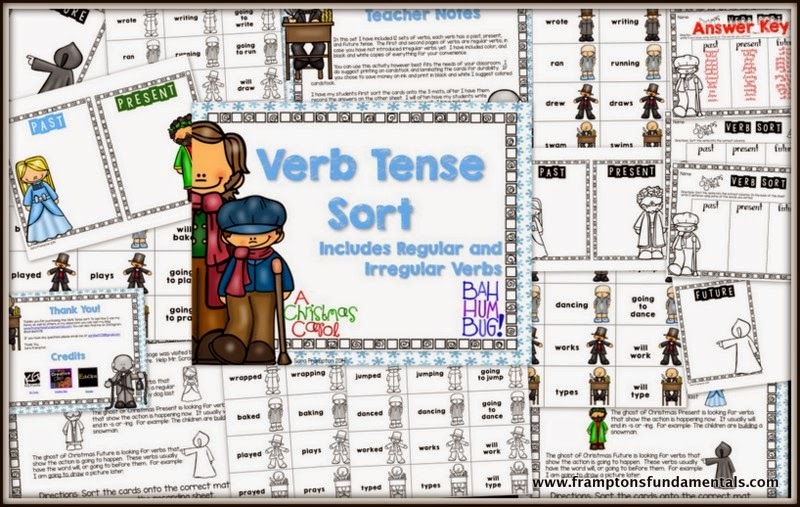 3) I was very happy to post my newest product this morning- Scrooge Verb Tense Sort. We did it last week in my classroom and the kids loved it. We just saw the play last week and we watched Muppets Christmas Carol, so they are all into it! The product will be half off for the rest of the weekend! 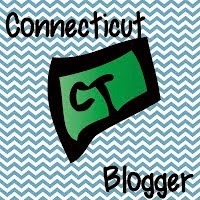 Thank your to the Teaching Trio for this Link Up, I can't wait to see what others are up to today! 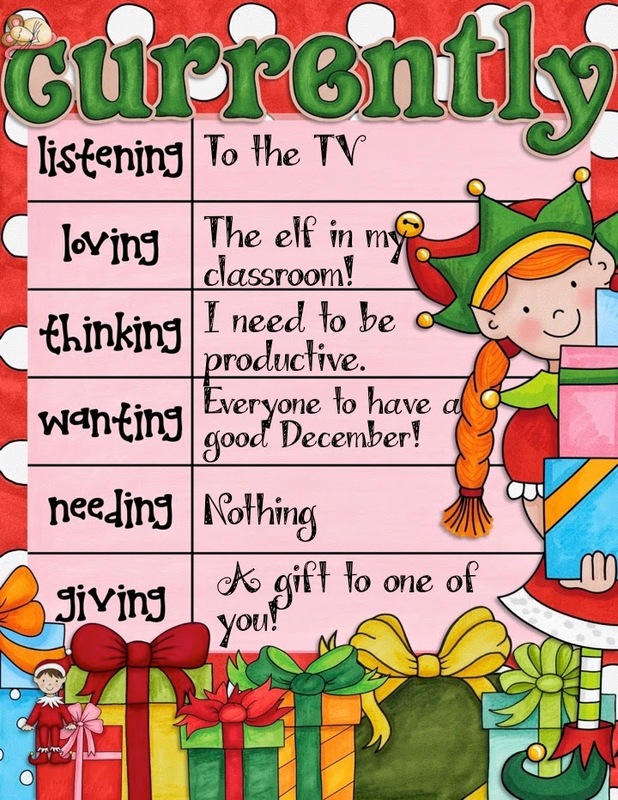 I know that December is the craziest month of the year, and as a teacher if we can get through it we can do anything! 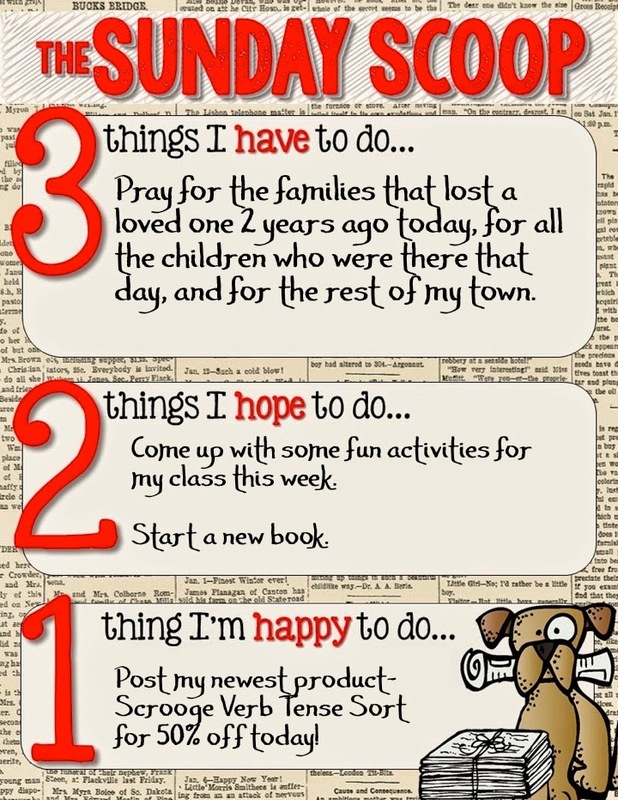 To jumpstart this month of controlled chaos I am linking up with Farley at Oh' Boy 4th Grade for this months Currently. Listening: I am listening to the TV, although I have no idea what is on. It is around the corner and I can't see it, or recognize the program based on sound. Thinking: I need to be productive, enough said! Needing: I don't need anything, I just want to count my blessing for a change of pace. Giving: I am trying to have my students realize that giving is important, so we are going to do a lot of that. 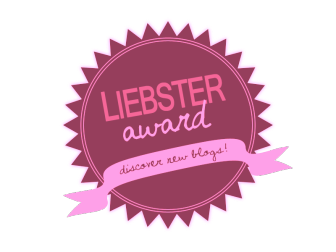 I wanted to give something to a random follower of mine, so I made a giveaway for one of you to win!